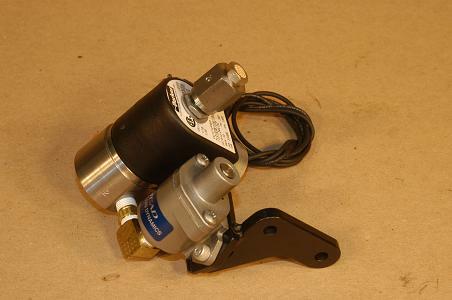 Here is our Large Quick Release equipped with a 24VDC air actuator on a 6in by 6 foot air ratchet. The Quick release holds the ball valve closed. When actuated, the ball valve is pulled open by the shock cord. 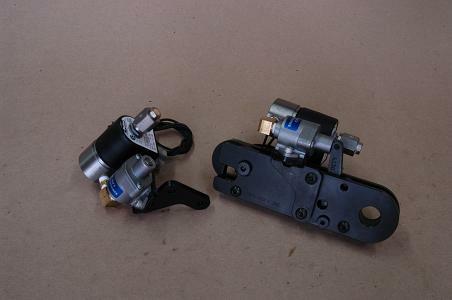 The Actuator. 24VDC or 110VAC. Solenoid temperature range is -20 to +185 degrees Fahrenheit (-29 to 85 celsius).